HI ! Guys ! Im busy building a NA motor for my drag golf mk1 . At the moment it runs pretty well in its 1800 set-up , but want to increase the displacement . I have a 2l cranckshaft from a mk3 GTI . I would like to fit the crank to 1800 block and re-bore it too max capcity . I want to know if anyone has done such a conversion and what piston con-rod combination would have to be used ? I understand that the block might have to be skimed , in order to bring the compresion ratio back to its normal ratio ? If anyone has done the above and has the sizes and combinations it would be much appriciated ! SHROSS wrote: HI ! Guys ! Im busy building a NA motor for my drag golf mk1 . At the moment it runs pretty well in its 1800 set-up , but want to increase the displacement . 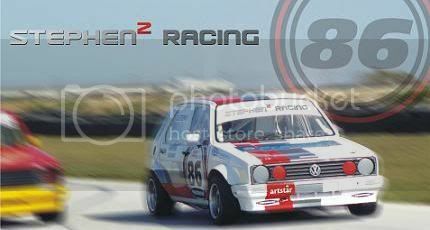 I have a 2l cranckshaft from a mk3 GTI . I would like to fit the crank to 1800 block and re-bore it too max capcity . I want to know if anyone has done such a conversion and what piston con-rod combination would have to be used ? I have done a 1600 to 2.0 conversion. The 2.0 crank will fit in the block you have, but some clearancing of the block needs to be done. 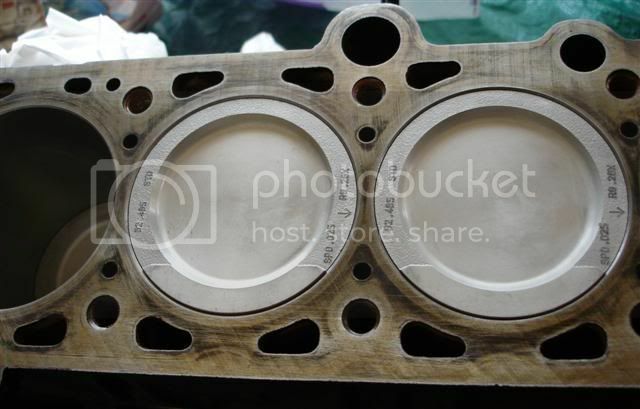 Then use your current shortblock conrods with 40thou oversize Kombi 2.6 pistons (83.5mm). No need to deck the block. A shortblock with a 2.0 crank, shortblock rods and Kombi 2.6 pistons means the pistons sit flush with the top of the block at TDC, with a compression ratio of around 10:1. Perffect !!! Thanks bud !!! 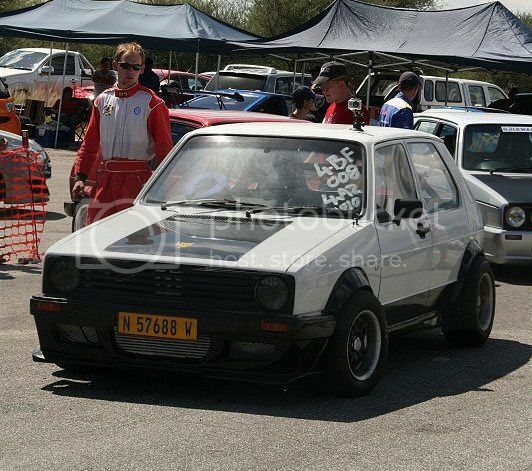 A friend of mine did something simmilar, but according to him bore went up to 85mm on his 1.8 motor(this sounds a bit way too much for me though) and he uses a TDI crank, thereby making it roughlt a 2.1l motor. Its still being build, so i dont know if it will work when done. I know on the 1.6i golf mk1 motors you have to change rods and crank only and you effectivley made a 1.8i motor.This stands to be corrected. 2e has a better rod ratio for turbo applications..
Wit ark - yes you stand to be corrected - absolute max bore is 84.5 and even that is a stretch. 84 is normally considered max due to the lack of area left between the pistons. All the shortblock engines use the same conrods and to make and 1800 form a 1600 you change the crank and pistons. The rods remain. As for the 2l shortblock revving better than the longblock - After many years of building several version of both I'm still not convinced the shortblock is better in any way. But each to his own. yes the theory that because the internals are lighter it should spin up faster is correct but other factors come into play when you look at rod ratios. how far are you looking to go with this as you say its a drag car? cause 10-1 comp will get you so far but higher will help. 12.5-1 with racing fuel is a good start as well as knife edging blue printing and head work. lots of it. 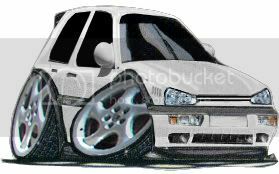 if this is more of a weekend fun/drag car then i say go with the kombi 2.6 pistons and the work as macman said but if oyur looking to be above most then its going to cost. I want to re-do another head , as Ive leart over the years where i went wrong the first time ! And build a perfect (worked) bottom end with near to max capacity ! The car is still street legal as I have to drive it to events ! So I dont want the comp. ratio too hectic ! I would like to run in the 14s easily , with this set up ! Im almost there with my current set up ! Just remember that at max bore - if something goes wrong you throw the block away. Don't understand the latest fascination again with 'knife edged crank'. Seems every 2nd thread with a modded or hopefully modded motor has that. Have any of you actually had the crank indexed after doing work on it?. I have seen MANY bent cranks after guys done knife edging. VW cranks especially. By the way - have you ever done just that and seen what the power increase really is - if ANY. Knife edging normally only have a very small (1HP or so) benefit in motors that you rev to around 10000 RPM. This is the one thing where the effort and chance of ruining a good crank FAR outweighs the possible gain. Ja ! There are a couple of benefits that Im after with the Knife edged crank ! First thing it doesnt chuck the oil out the sump as much , keeping a health supply . It decreases rotational mass substantially wich promotes faster acceleration (not too worried about momentum). But JA ! there is always a risk when working on critical components such as cranks and stuff ! Ive also sorced two spare 1800 (HV) blocks for when something goes sour ! 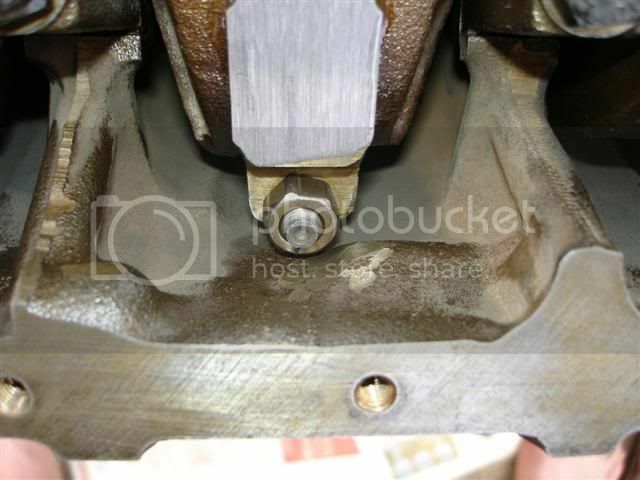 uhm - if your crank is hitting oil up from the sump you are seriously overfilling your engine. You can just use a splash tray to minimise that in any case. As for making it lighter - did you weigh it before and after?. I'd rather run a very light flywheel than mutilate a crank. It's not that I'm saying there isn't advantages - it's just that I have found that VW cranks don't like to be machined on the webs and there are other ways of trying to achieve similar results. Sadly these things come from school fees I have paid while preparing race engines for myself. There are some very fancy cranks - like oettinger and eurospec that are knife edged or reduced on the journal but they come out the factory like that and the webs are worked before the journals are machined. If you knife edge your crank, by cutting your webs, it puts the ratio ot, and un-ballances your motor. Needless to say, I dont knife edge the cranks in my racing motors! Been there, ran the bearings, got the t-shirt. when i rebuilt my motor the second time round i lightened the flywheel and installed an oil windage tray!! In a nutshell, yes. Those counterweights are there for a very specific reason; to balance the weight of the rod and piston (that weigh like 10kg when they turn at the top). Cutting them off is a bit silly, and will definitely lead to funny wear on the bearings. On a race motor that gets rebuilt every 100km it's one thing, but on a street motor you're just making trouble for yourself. And you're doing it for maybe 1hp. 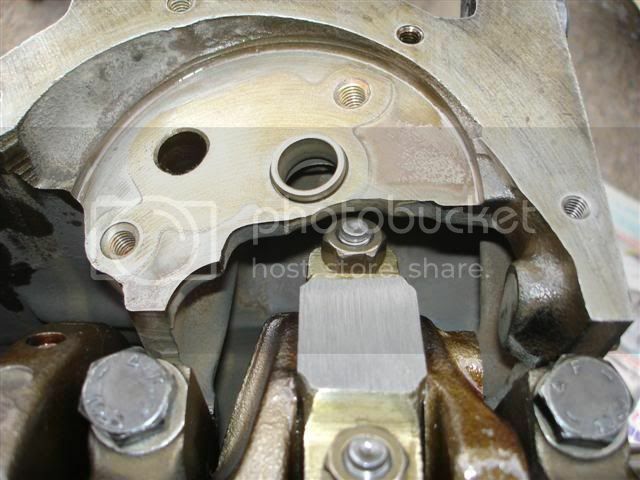 panic-mechanic wrote: uhm - if your crank is hitting oil up from the sump you are seriously overfilling your engine. You can just use a splash tray to minimise that in any case. As for making it lighter - did you weigh it before and after?. I'd rather run a very light flywheel than mutilate a crank. Agree with Panic .. Windage tray for the sump is R400 , keeps the oil in the right places..
How sure are you about that one? When I measured it on my turbo motor, with the cut-outs for the valves, they were only about 13cc? well thats what i got the first time i did it myself but then i was using a syringe. so i had a guy do it in a ring squeezer with a pipet and he got 20cc. it does seem very high doesnt it. i think i must do it again myself with a pipet and try it again. Thanks Guys ! This is all really good to hear before I go and stuff-up my motor ! The motor I need , is strictly 1/4 mile ! Already started with a A-frame for next years events ! That comp. ratio is a bit low !!! How would I go on making it closer to 10.5:1 ? You also quoted it useing a mp9 head ! 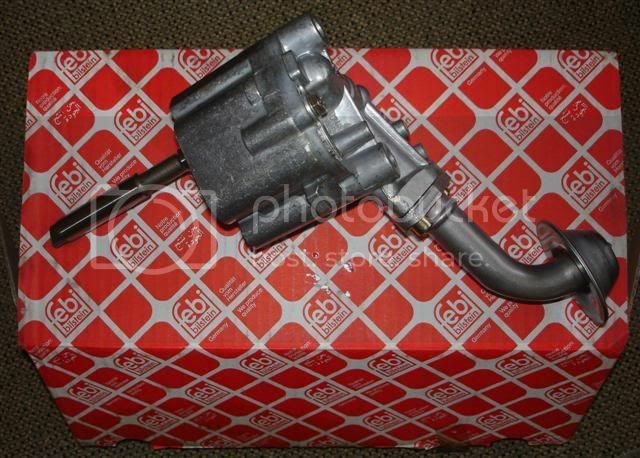 Is there any difference to a 1800 carb head ? Yes you are perfectly right. We normally deck the block so that the piston squish pad comes above block level. About 0.8 mm of pad sticking out normally does the trick. the mp9 head has dished valves so they have .9cc more combustion volume but your best bet is to cc them exactly as your head may have been skimmed etc etc.